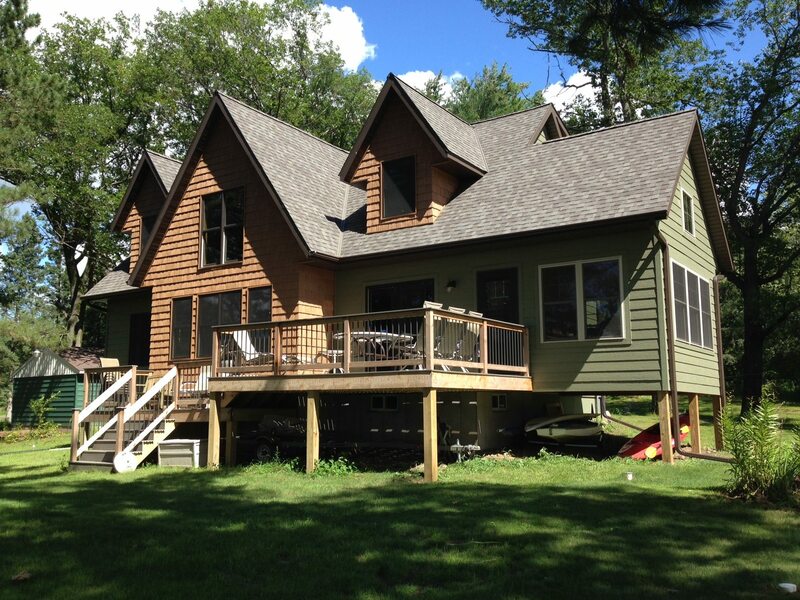 The design of this new cabin in Wisconsin included the tear down existing an existing seasonal one-story structure and the construction of a new one-and-a-half story home with a larger footprint. They wanted an intimate, yet comfortable four-season lake home that retained some “cabin-y” feel that is compatible with the general architecture of the neighboring homes and takes advantage of the natural landscape. Not a log cabin, but more of a “cottage” feel. 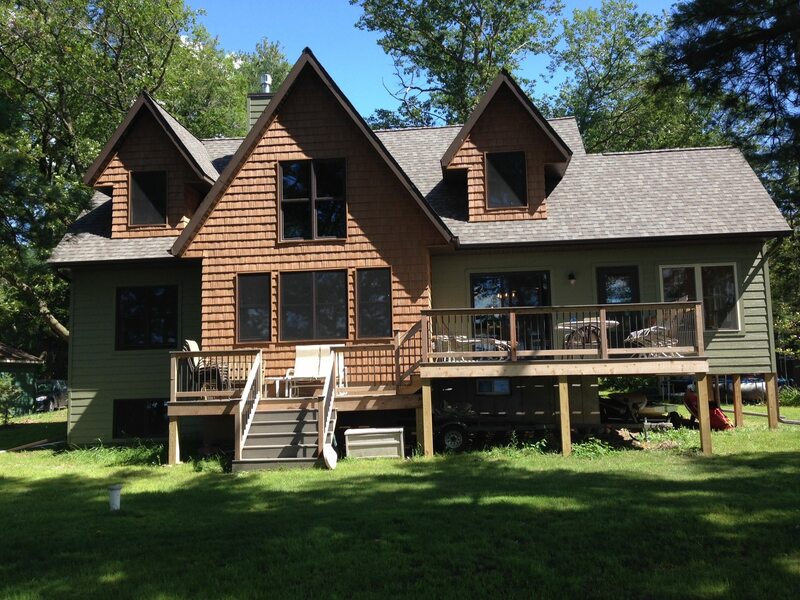 The main level includes a 3-season porch, vaulted living space, dining area, kitchen and master bedroom all with views of the lake while the upper level has a loft and 2 additional bedrooms with lake views as well. 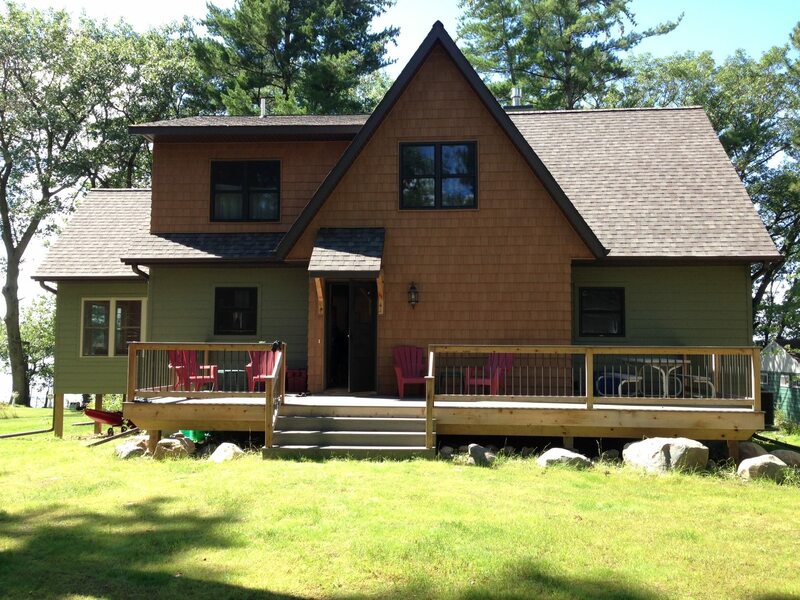 The large decks on both sides of the cabin make it easy to expand the living space outdoors.